Next day onwards, a lot of information started flowing on the incident through media. The source of this information was the local police. The Commissioner of Police (CP) in his press briefing had given a full account of what exactly happened, which was reported by the press and other media on June 02, 2006. This account created many questions in peoples’ mind, which began trickling in media thereafter. Contrary to initial impression, there were a few eye witnesses to the incident, which people variously explored and began giving variant versions of this incident. Instead of quenching the curiosity of people, the flow of information on the incident began thickening the cloud of suspicion around the incident. Some news papers openly expressed doubts over the entire narration. Even persons like Dr. Praveen Togadia, a prominent leader of the Vishwa Hindu Parishad, a part of the Sangh Pariwar, publicly expressed doubt over the veracity of the narration. An important leader of BJP, Mrs. Sushma Swaraj also expressed her disbelief that such an incident could take place in the congested old city area where the RSS headquarter is situated. Loksatta (June 03, 2006), a respected Marathi newspaper also raised many questions about the incident. The incident had strange similarity with some past incidents. Stavan Desai of Indian Express of June 2, traced out certain parallels between the terrorist hardware of this and the attack on Akshardham in Gujarat. To some people it looked similar to attack on parliament in 2003 (e.g., Ambassador car with VIP sticker in Parliament attack as against the Ambassador car with red beacon light in this case). It would appear to be a complete rehash of the case of an encounter that took place in the same month two years ago (June 15, 2004) in Ahmedabad. The case had created a stir because among the slain terrorists was a teenaged college student who studied in Khalsa College, Mumbai. As in this incident, the Ahmedabad police had information about the likely attack on Narendra Modi by terrorists who were entering the city. Quite similar to this incident, the Ahmedabad police had made preparation and deployed a patrol party. The patrol party spots the terrorist vehicle, blocks it on the deserted road in the wee hours of the night, faces first fire from the terrorists, opens fire in defence and kills all the terrorists without any scratch on policemen. Police finds diary on the terrorists, which contains their names in Urdu, telephone numbers, receipts of hotel, etc. Now compare this incident with this one at Nagpur, and you would be stunned to find them replica of each other. Even the post-incident sequence of events runs parallel: There being no witnesses or difficult to have them depose in open; police being the only source of information. The other sources stay anonymous and contribute to the hush-up news in newspapers. A thick disbelief among people prompts civil rights organizations to come forward to investigate the events but they meet up with similar hostility from the police. The implications of this incident however, was potentially far more ominous than many previous ones. For instance, the Ahmedabad incident related to an alleged attempt of attack on the Chief Minister, Narendra Modi, a controversial figure in his own right. But this incident was an attempt to attack the headquarters of the RSS, which has been the fountainhead of Hindutva ideology and majoritarian militancy. Ahmedabad, being already identified with Hindutva influence, the potential for further damage there was very minimal as against Nagpur, which despite being the home for the Hindutva ideologues, has been consistently refusing to go communal. The Nagpur Police had warned the public that even Dikshya Bhoomi, a scared place for millions of Dalits all over the country, could be the next target of the terrorists. If so, the potential of damage would be simply enormous. The team met at Nagpur on June 10, 2006 and began its work. It visited the site of the encounter; spoke to the people residing in the vicinity. A map of the site showing schematics of the roads around the RSS headquarter and the spot at which the so called encounter took place is attached as Annexure 1. 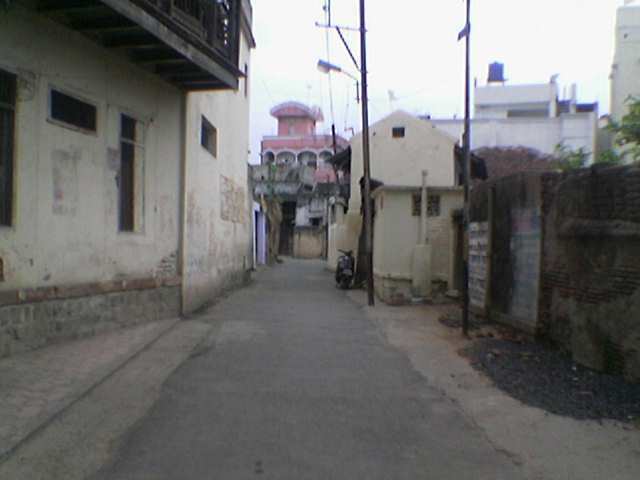 A photograph of the Aditwar Darwaza lane towards the RSS headquarter as viewed from the spot on which the incident took place is attached as Annexure 2. The team also visited the RSS Head Quarters and met Mr. Shirish Wate, the HQ In-Charge. The team went to the Government Medical College to meet the Doctors who carried out postmortem of slain youths. Dr. Dhavane, who was present gave elementary information but declined to give further details. The team spoke to Dr. Vibhawari Dani, Dean, Govt. Medical Hospital and College. The Dean also declined to talk over the postmortem report. It was a classified document, she said. The team repeatedly sought appointments with the Commissioner of Police and other police officials. The CP too declined to meet the team. On the contrary the CP asked the committee members (most of whom happened to be well known as civil rights activists, social workers, and writers in the country) their credentials, who funded them, what international connection the team had and other questions. It was certainly unprecedented in the entire history of civil rights movement in this country. The intention of the Police was blatantly apparent: to intimidate the team from their earnest effort to help the society to know the truth. Nonetheless, the team carried on undaunted and gathered enough information to reach certain conclusions and place them before the people of India. Many people including some press photographers volunteered in providing information on the incident and photographs of the spot in the morning of June 2, 2006. A few of these photographs have been annexed with this report at appropriate places.